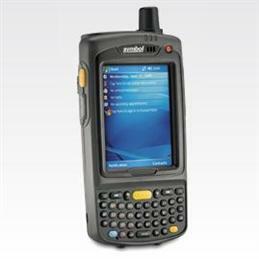 Put the power of a cell phone, PDA, computer, scanner and imager in the hands of your mobile workers with the first rugged enterprise digital assistant. Designed to withstand all-day everyday use in nearly any environment, this rugged compact device delivers true anywhere anytime wireless WAN/LAN/PAN voice and data communications, including superior voice functionality, data capture and the power to run nearly any application. This device provides everything your mobile task workers need to achieve a new level of enterprise productivity — whether they are in the warehouse, on the delivery route, on the retail floor taking inventory, or in a hospital.